Customizing your website to accept credit cards and sell products online, services, subscriptions, donations and more requires more than just website design and pretty pages. Understanding the ins and outs of true eCommerce, including aspects of credit card processing, shipping, tax collection, bank compliance, inventory management and order fulfillment is critical to your online sales success. ES Interactive can make your online selling experience easier than you ever imagined. 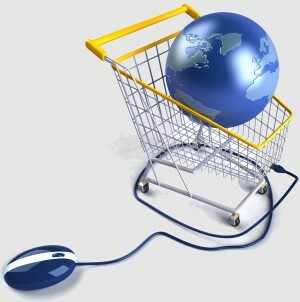 Our development experience of online shopping cart and complete eCommerce solutions is unmatched. We have vast experience and broad technical knowledge of nearly every major credit card processing gateway, and have developed shopping carts and complete catalog website solutions for businesses of all sizes. Selling products and services online requires knowledge beyond just web design, and ES Interactive brings that knowledge to the table with every eCommerce project we embark upon. We thoroughly understand credit card processing, online check processing, subscription and installment payments, tax and VAT tax calculation and all aspects of a complete shopping solution. We possess a wide array of strong eCommerce knowledge spanning the simplest of shopping cart solutions to much more complex warehouse integration, order processing, order fulfillment, catalog management and sales reporting. Whether your needs involve an out-of-the-box shopping cart solution, or a custom cart design, we have the experience to deliver what you need. For more than five years, ES Interactive has been called upon by high-end eCommerce solutions provider OrderPort, LLC to develop and deliver complete online catalog website solutions for major industries including - but not limited to - travel, promotional items, multimedia, software, donations, books, jewelry, subscriptions, on-demand media & software downloads and more. Our technical and developmental work includes complete user catalog management via a custom content management system (CMS), custom reporting, worldwide warehouse integration, real-time shipping integration, rate quotes and merchant processing for all major online processors. ES Interactive can also enhance existing eCommerce websites on both Windows and Linux platforms. ASP & PHP platform experience for all shopping cart solutions. Real-Time Shipping Integration and Rate Quotes, both domestic and international.